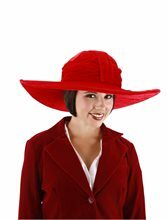 Satin Witch Adult Hat.Includes: One Satin Witch Adult Hat. Dimensions: Approximately 18 inches tall. *Costume and Accessories Not Included. Sold Separately. 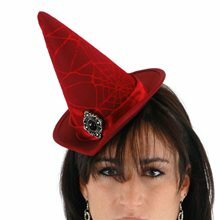 Features one Witch Hat Satin. Approximately 18 inches tall. Adult one size fits all. RG Costumes and Accessories is one of the world's largest manufacturers and suppliers of costumes accessories seasonal decor and supplies in the costume industry. The attention to detail and quality of material used in manufacturing each product make this beautiful line even more attractive. The line of the product is designed by skilled and experienced costume designers and is then manufactured by a team of leading professional tailors. 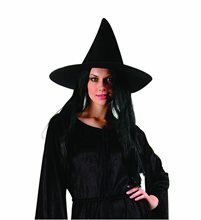 Green Mini Witch Hat is a beautiful Green and black Hat with Veil.It has black feathers on the top of the hat. Black Mini Witch Hat with Bow.ncludes: One Black Mini Witch Hat with Bow. Available Size: One Size Fits Most Adults and Teens. *Costume and Accessories Not Included. Sold Separately. 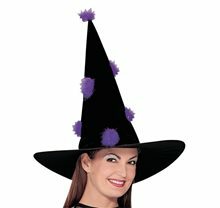 Complete your Witch costume with this uniquie hat! 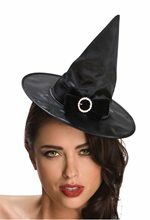 Features one black miniature pointy witch hat with black bow and sparkly round buckle. 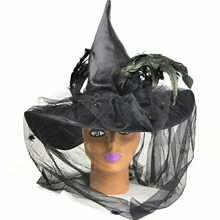 Mini Witch Hat is Black In color with Veil.It can go perfectly with any Witch Costume. 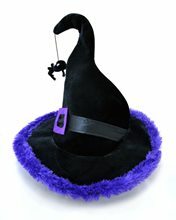 Hot Purple Mini Witch Hat is a Beautiful purple and Black Hat.It perfectly matches your Witch costume. 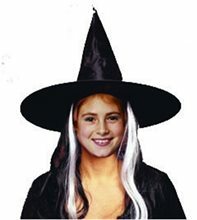 Deluxe Child Witch Hat With Wig,RG Costumes & Accessories is one of the world's largest manufacturers and suppliers of costumes accessories seasonal decor and supplies in the costume industry. The attention to detail and quality of material used in manufacturing each product make this beautiful line even more attractive. The line of the product is designed by skilled and experienced costume designers and is then manufactured by a team of leading professional tailors.